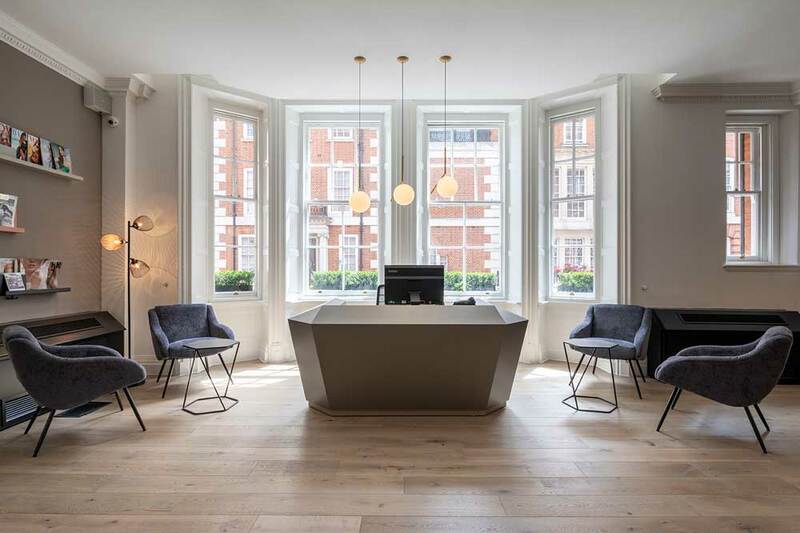 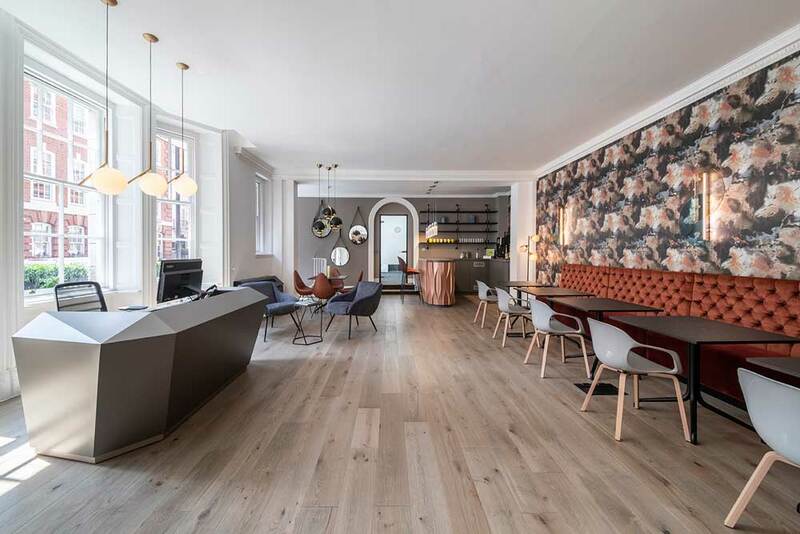 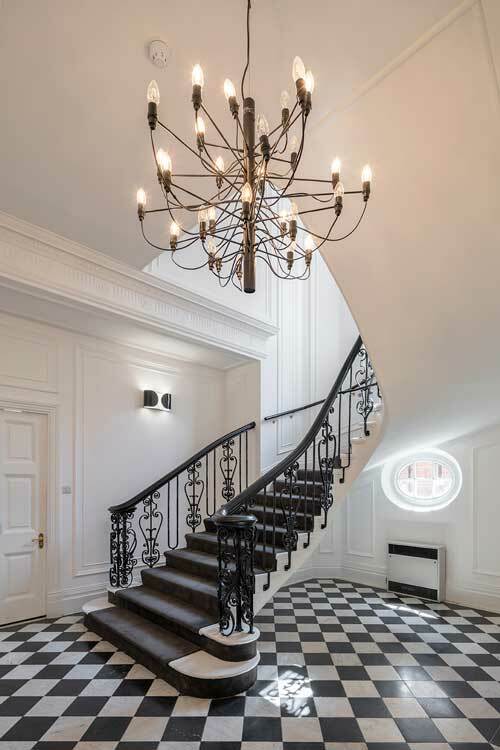 Set in the heart of London’s Mayfair, 25 Soho Square is yet another beautiful period building which forms part of The Boutique Workplace Companies London portfolio. 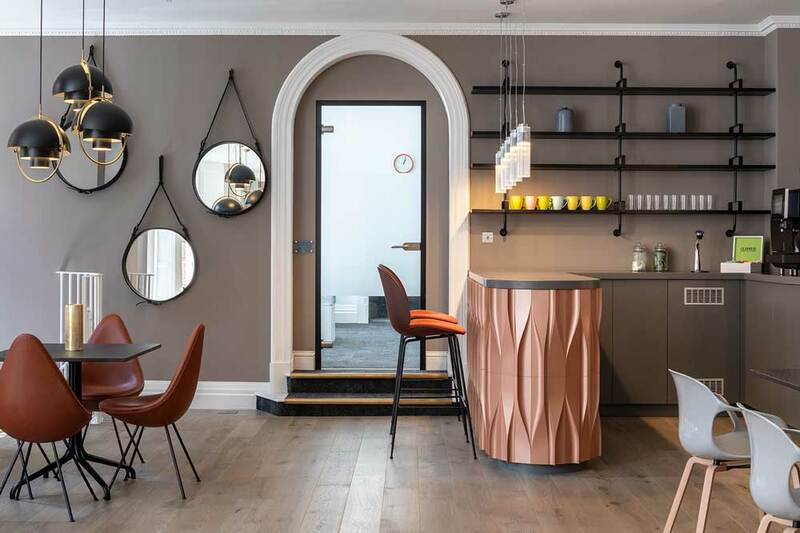 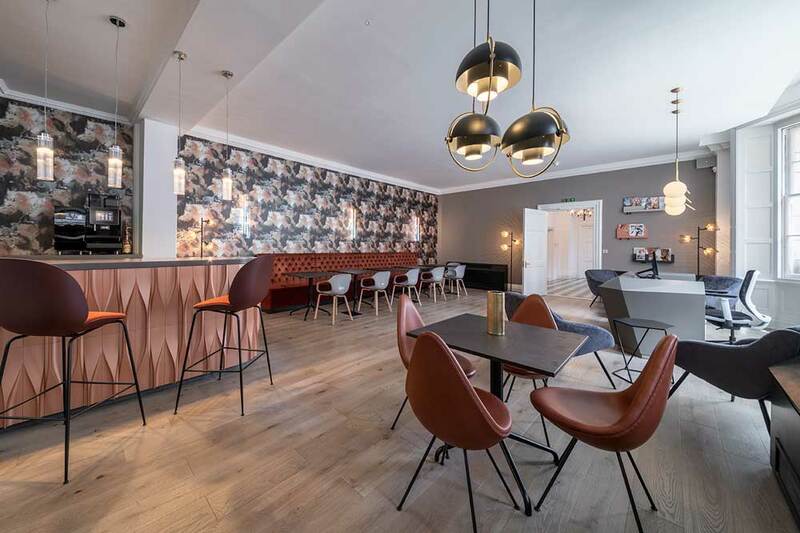 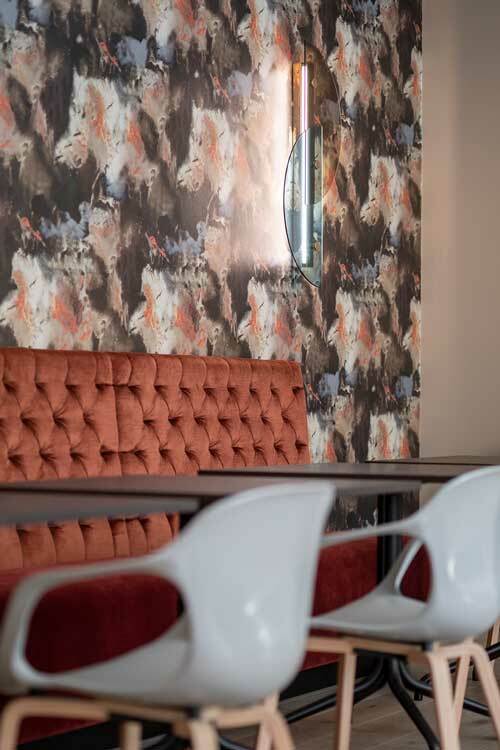 As part of the refurbishment Create designed an inviting reception and breakout lounge using warm coppers, peach, tan and dark blue tone and pattern. 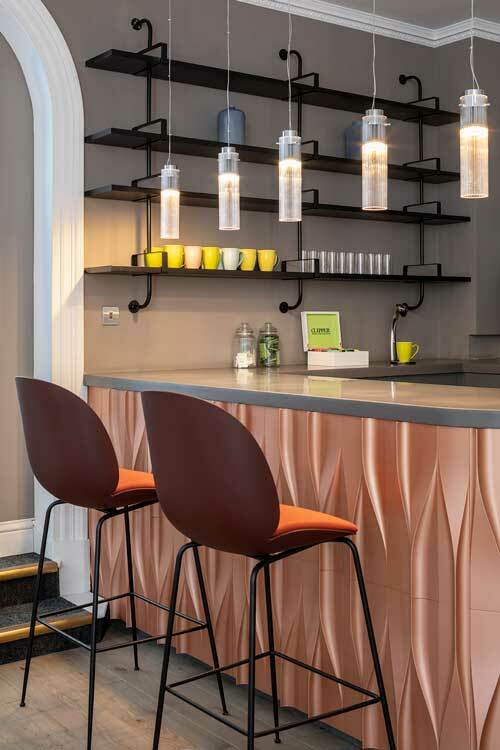 The 3-dimensional feature architectural copper tiles which form the bar, entice you into the space. 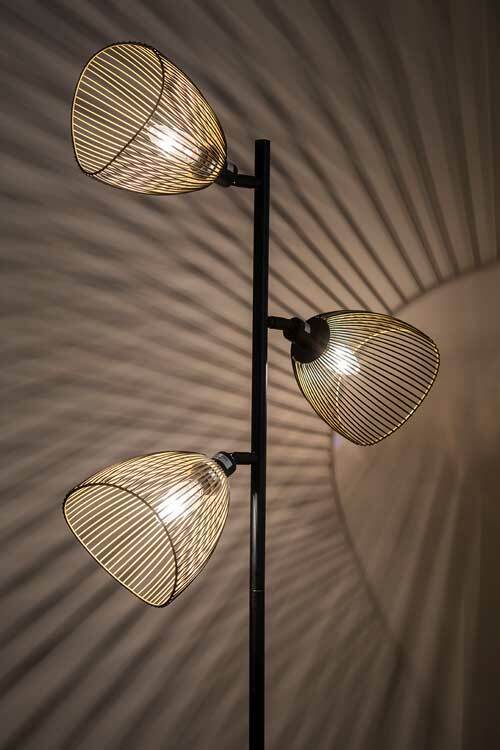 Sculptural feature lighting helps to define the different areas. 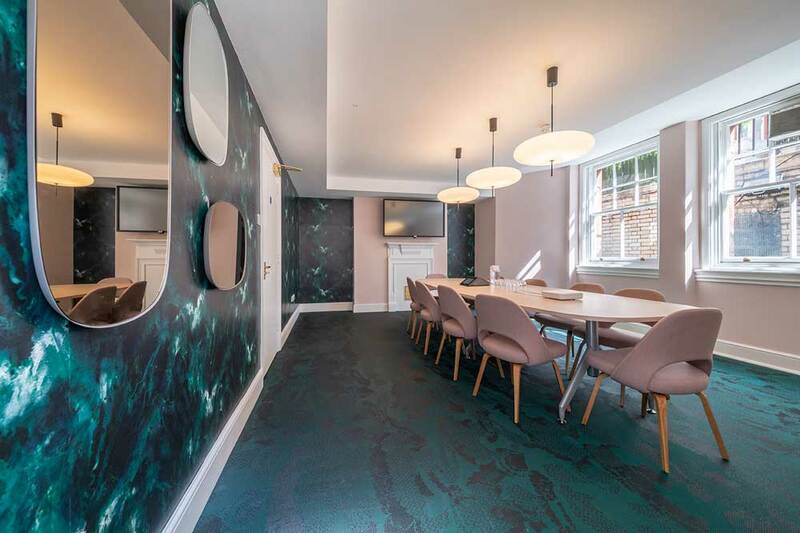 The typically Mayfair monochrome hallways and stair cases link the floors with a new green and pink themed meeting room on the lower ground floor.